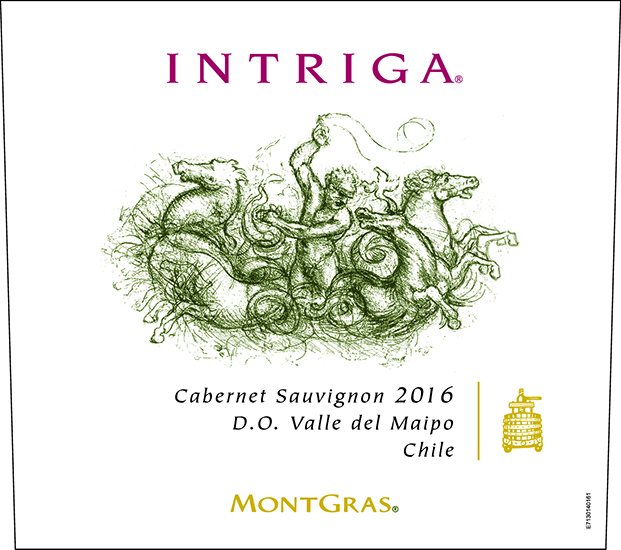 At the feet of the majestic Andes Mountains was born Intriga, our special Cabernet Sauvignon brand. Millennial alluvial soils are planted with vines that give world-class grapes for taking this variety to its maximum expression. AGING: Aged in 225-litre French oak barrels and 2,000-litre foudres for 24 months, in order to respect the properties of the wine. A deep-coloured and concentrated wine with ripe fruit aromas, including blackcurrants and red fruits. Full-bodied with rounded tannins and a delicious finish. The aftertaste has flavours of walnuts and chocolate that invite you to enjoy each glass. 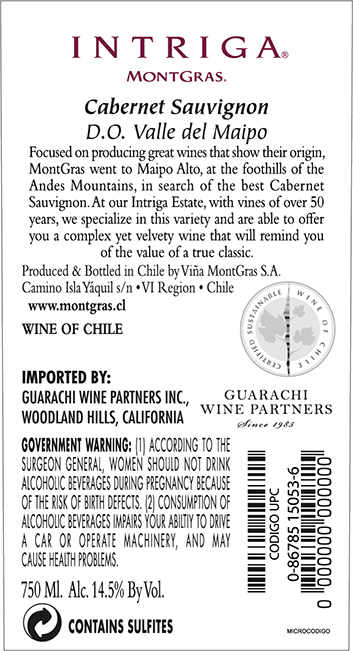 With a long and persistent finish, this is a powerful, concentrated, daring wine with enigmatic character: that is Intriga. Because of its structure and power, this is a wine appropriate for marbled red meats, fine cheeses and in general, strongly flavoured, fatty foods, such as duck confit, rosemary-infused lamb ribs or oven-roasted kid (goat).